Are you taking on any prototype projects? I can provide more details if you are interested. 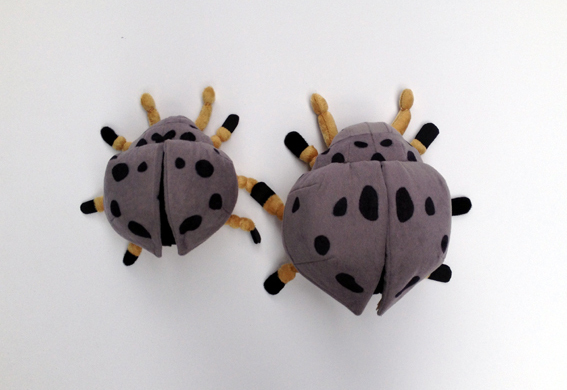 Children’s book authors, video game designers, marketing teams, and environmental groups contact me all the time looking for a custom soft toy design for their main character or company mascot or personified vegetable or ash gray insect. Sometimes, like Amy, they just want a few finished plush to use in school demonstrations, but often they want to have their toy manufactured. 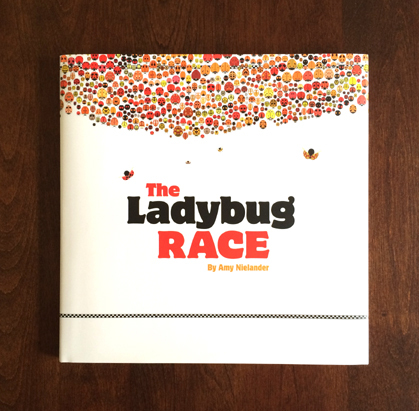 Amy’s book, THE LADYBUG RACE, was recently published by Pomegranate. I’ve found that most people who are looking to have a plush toy manufactured truly don’t know where to begin because it’s difficult to find good information on how to do it. There is no directory of designers and factory contacts. How do you find someone to create the pattern? 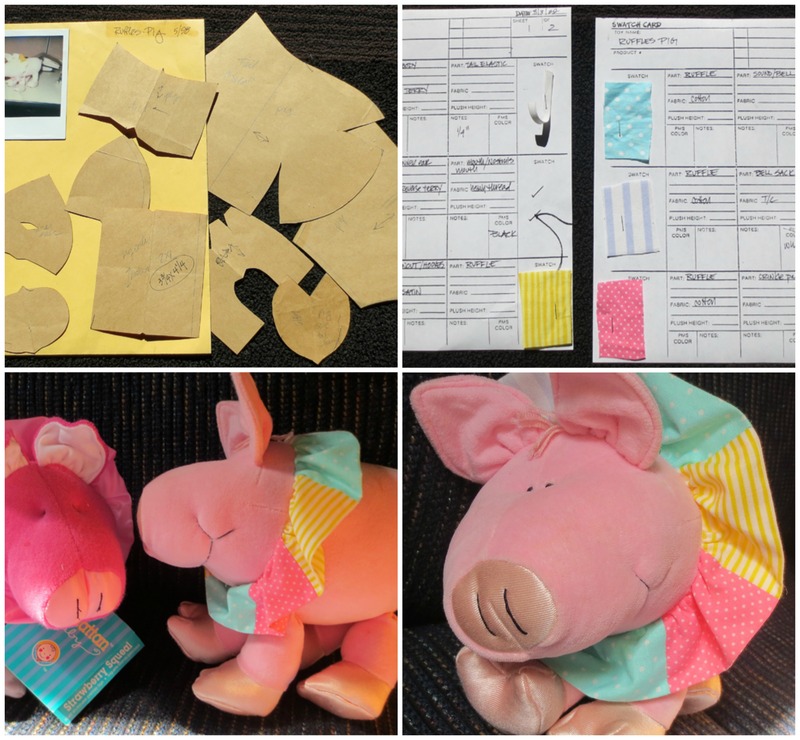 Where do you go to choose fabrics, stuffing, and features like eyes and noses and embroidery? How much should the design phase cost and how much, approximately, will it cost to get the toy manufactured? Some of the projects Karen has worked on. When emails like Amy’s come into my inbox I forward them on to my friend, Karen Laude. 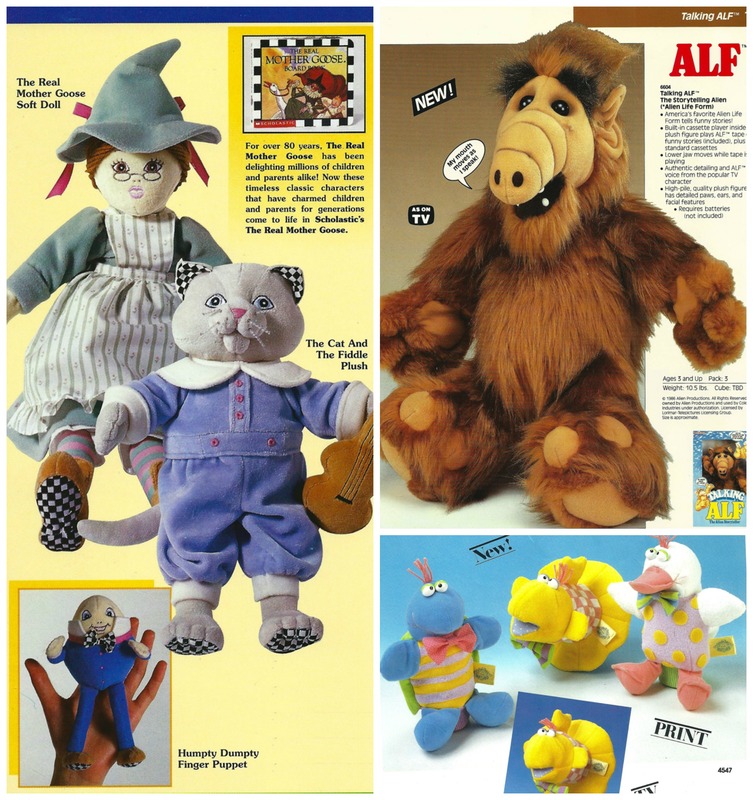 Karen has been working as a professional soft toy designer for 35 years, first at Knickerbocker Toys (with Longia Miller – watch this video of Longia to get a sense of what the job entails), then at Coleco Industries, and finally as a freelancer. She’s worked on many projects you probably recognize including Alf, Cabbage Patch, Dr. Seuss, Hello Kitty, Curious George, Sesame Street, Cindy Loo Hoo, Doodle Girls, and Baby Twinkle Toons. Karen lives nearby and I first met her about a year ago when she invited me out for coffee. She brought her portfolio and I was totally impressed by her extensive experience and thrilled to have found someone to refer people like Amy to. Different stages of another of Karen’s commercial projects. 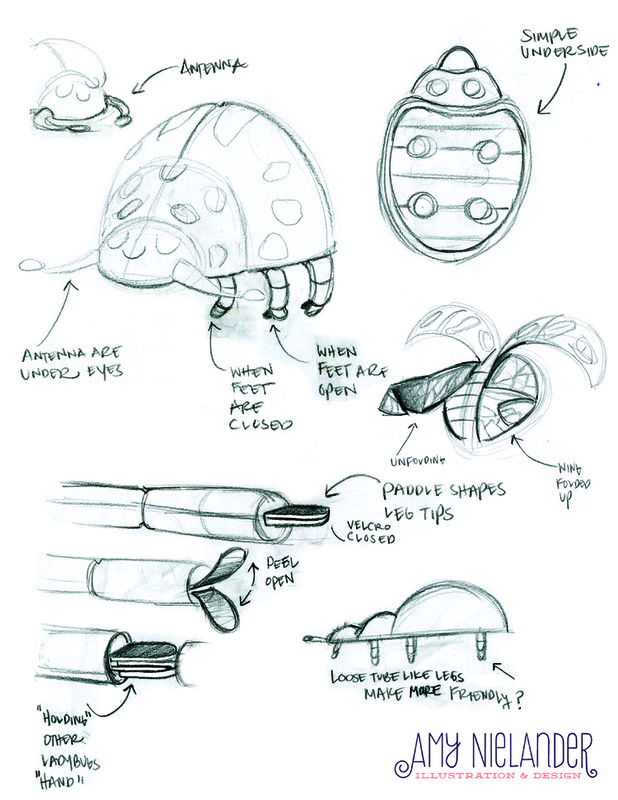 Earlier this week I asked Karen if she would tell us more about the process of bringing a toy idea to production, including time schedules and approximate costs, so that this information would be more readily accessible. She kindly agreed. 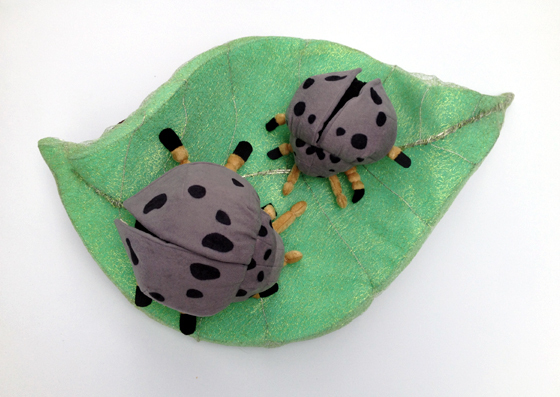 Having just completed the ladybugs for Amy’s book, THE LADYBUG RACE, we decided to use Amy’s toy as an example, with Amy’s permission. The reference materials Amy provided to Karen. Next, Karen develops a paper pattern from the sketches and tries it out in fabric. This is called the “construction model” and she sews it in a brushed tricot fabric called alova. About two and half weeks after starting, she sends the model to you for critique asking that you provide very specific feedback such as, “Take 1/4” off of the arms.” Karen then makes edits to the construction model. The completed toys Karen made for Amy. In the final step Karen creates the finished prototype. She makes a set of pattern drawings that include details like where to put cording, eye placement, and embroidery. And she creates sewing specifications and swatch cards for you. This last step takes another 2.5 weeks. How much does the design process cost? To work with Karen to design a small, fairly uncomplicated toy costs $1,000-1,5000. Karen charges $75/ hour. For that fee you get not only a professionally designed pattern and sewing instructions, but you also can tap into Karen’s knowledge of fabric and factories. It is possible to work with a designer at the factory where your toy will be produced instead of working with a domestic designer, but choosing to do so can complicate the process. The language barrier and wait time between receiving prototypes can be frustrating and often you don’t end up with a satisfactory prototype. Karen told me she’s often called upon to redo patterns for clients who at first tried to have them created at the factory. At most factories the minimum order is about 10,000 units, but for an additional set up fee of about $2,000 some will do 2,500 pieces for you. If you provide digital artwork, the factory will print and affix the hangtags as well. Remember that you’ll need to do safety testing for the toy, too. Factories vary considerably in the quality of their communication and their products so it’s best to get a recommendation from your designer or someone else with experience. If you’d like to contact Karen Laude for an upcoming project you can email her at karenlaudedesign at gmail dot com. Edited 10/8/15: I just learned about Stitch Texas, a company in Austin that helps people take their fashion design from idea to manufactured product. If you have an idea for clothing rather than toys, check it out here. very interesting, thanks for sharing Abby! You are awesome, Abby, for connecting Karen and Amy. This information is so fascinating. Karen’s work amazing. A great article as always, Abby. Karen is one of the best in the toy industry. Longia, thank you so much for reading. I’ve been a fan of your work for many, many years and one of the thrills of meeting Karen for coffee was when she mentioned that she’d worked with you! Your words mean so much to me. Thank you. How can i get in touch with karen? would live to get some help. Is she still doing this ? Your blog is 2015 ! I came here to say, “fascinating!” And I see I’m not alone. I’ll say it anyway: fascinating! What an awesome article!! It was so interesting! I love seeing into the mind of designers and their process’. Thank you so much for sharing! For some reason I didn’t even think that the toys would need to be tested. It leaves me wondering – Is this the case for just largely manufactured products, or should I consider this for the small amount of toys I make for presents? Thank you again, and would love to see an article of this style again, so fascinating! others about the prototyping process! Great article, thank you so much for sharing this Abby. I think your Blog is very well written & inspiring. What a wonderful and timely article! I have a stuffed animal design that I’m thinking about having manufactured, since the demand for it outstrips the time I have for sewing. I’m in an unusual situation for having a toy made, I think, since rather than submitting sketches it will be pictures of the finished product that I have made! I am looking at sending a request for a quote here: http://www.gannmemorials.com/ though I may also ask Ms. Laude for a quote after seeing this review of her services. I am starting my own business. And need soft toys made. My character is going to be a bee. Yellow. Black. Blue and green. I need some help in getting details of someone that can help me manufacture. I am trying to get a soft toy made also. It is important to have your design complete. Many places do the work in China and it is difficult to get something unique made there unless you have a large quantity to be made. I have been working with Chris Gann of Gann Memorials and although it has taken longer than I had hoped we are making some head way now. Chris has domestic contacts that can help with design if needed which helps with cutting the time from concept to production. Give him a call. You can tell him Bill Stewart recommended him. 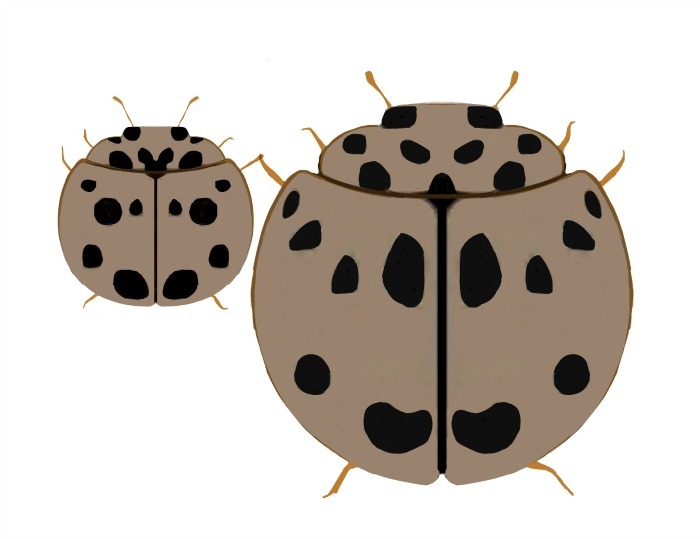 I need a plush toy manufacturer for my new children’s book! Is she still doing this? Hi. I have an idea of a toy I would like create, But I do not know where to start. Do you know anyone in Canada I could present my idea to? I would like to how to manufacture this toy. I believe it will be a very popular item and would appreciate any info you can give me. This reply is for Jill Hatt. I just found a really cool company in Canada (Toronto) called, “The Happy Worker.” Find them at happyworker dotcom. 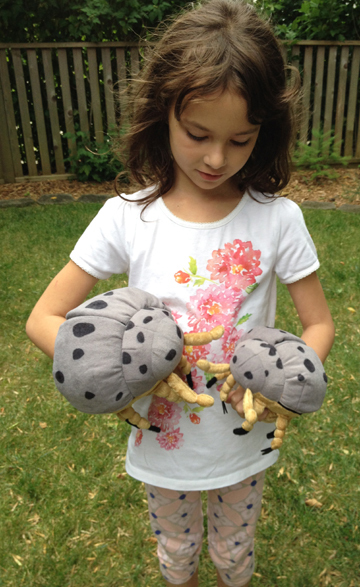 An example of their work: The super cool, very cute plushie (no longer available, darn!) of the Mozilla Firefox mascot. Hi there! I Have an idea for a doll and clothing that’ I would love to have produced and marketed. I think this product would be a huge success, but I do not know where to begin! Is this a project that Karen would take on if she is still doing this? Why don’t you reach out to Karen and ask?